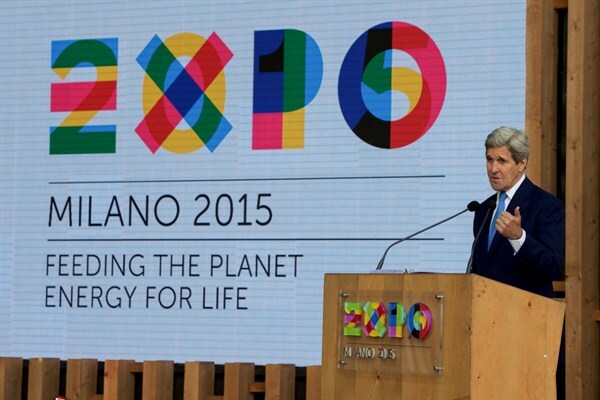 U.S. Secretary of State John Kerry delivers remarks at the Milan Expo in Milan, Italy, Oct. 17, 2015 (State Department photo). Expo Milan, a World’s Fair whose central theme was feeding the planet, officially closed its doors on Oct. 31, after six months that saw 20 million visitors pass through this once swampy area on the outskirts of the city’s industrial center. For Italy, the expo was a huge financial gamble that seems to have paid off. Having emerged from the 2008 recession and political crisis across the eurozone, the government was seeking to put a fresh face on the country’s national brand, already associated with great food and wonderful tourist sites.